Flying Cross brand Male 55/45% Poly./Wool 13 1/2 oz. wt. pants. 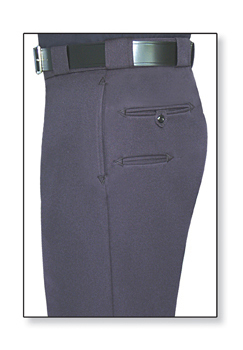 Two quarter top pockets, two front twister pockets, watch pocket and two rear Billy/Sap pockets. Approved for New England Police Depts.